Keychoice is proud to have worked alongside Farmanco providing clients with financial planning services since 2005. 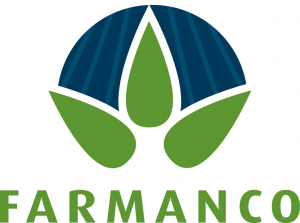 The Farmanco Group are one of Australia’s largest Agricultural Management Consultancies. From humble beginnings at Dowerin, Western Australia over 40 years ago, our success has been built upon partnering with over 750 clients, and understanding their goals and objectives. We now have over 20 consultants and operate across 11 offices. Our Consultants provide Farm Management, Agronomy and Grain Marketing Services, as well as the latest in research and new technologies and specialist services, such as: Precision Agronomy, Boomspray Application and Irrigation Services. We develop industry-leading products including the Pestbook (a one-stop decision aid for Crop Protection), the Profit Series (farmers benchmarking their performance in the industry), our Project Series (in-depth reports, analysing important farming topics) as well as monthly Newsletters and Podcasts. Our team provides sustainable, independent and profitable advice to our clients. We offer ‘the competitive advantage in agriculture’.